The Grand Market has a huge stage where there will be performances every night for the duration of the CARIFESTA festival beginning at approximately 6:30 each night. 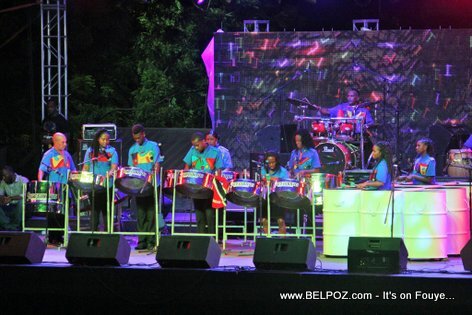 There are displays from various countries showcasing various types of art and culture from across the CARICOM Region. There are also food on sale representative of the various CARICOM countries.